Yes Yes Birmingham we are doing it again Saturday 30th august, same again meeting outside Water stones but busking outside Odeon, will be better this time lets all support the cause and raise more money, Our last efforts made a difference and have helped kids and families that are struggling out there. If you support TRUE HIP-HOP Culture then you should be present at this and show what we can do here in Birmingham and surrounding areas. Poppers, Lockers, House everything!!!!!!!!!! all unite!!!! Thanks to all that have supported so far from surrounding areas. Share and re post this!!!! 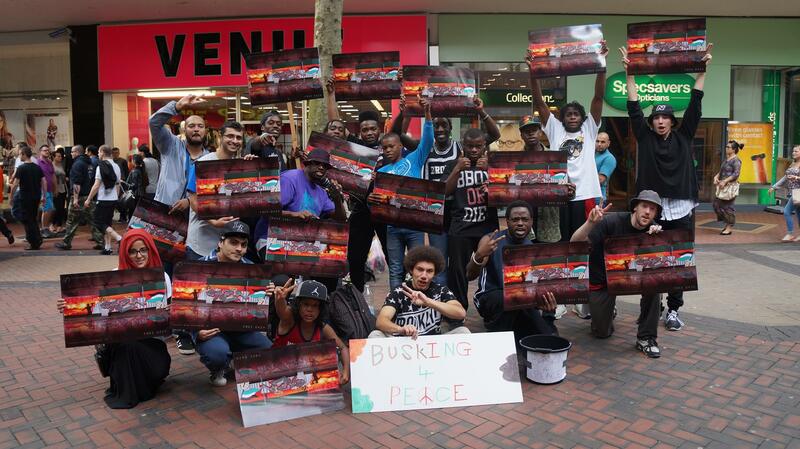 Busking For Palestine – Birmingham Day 2. KLUB SOULROCK BACK ON TWO FLOORS!!! THURSDAY 6TH FEBUARY!!! 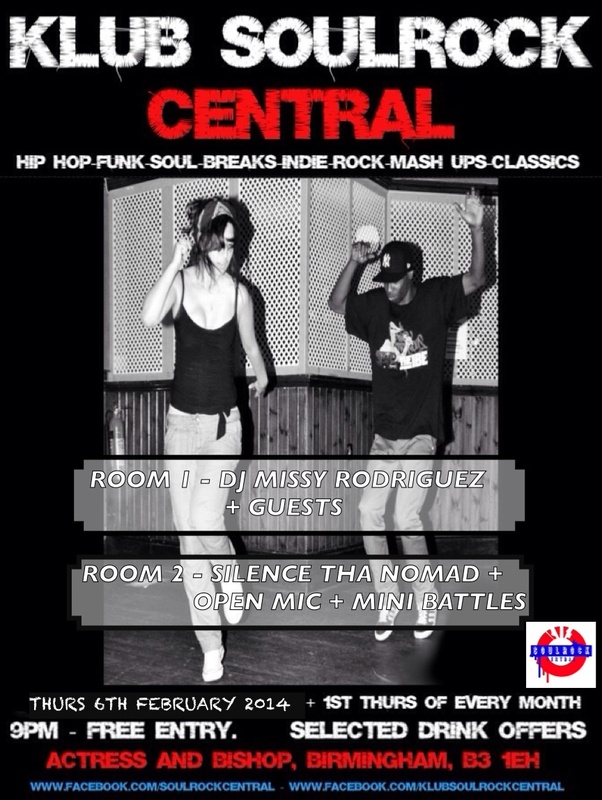 THE NEXT Klub-SoulRock Central IS COMING AND IS DEFINITELY NOT ONE TO MISS! WE’RE BACK ACROSS 2 FLOORS WITH SOME OF BIRMINGHAM’S FINEST HITTING THE DECKS, OPEN MIC & MINI BATTLES, SELECTED DRINKS OFFERS & IT’S FREE ENTRY!……..THIS NIGHT’S GONNA GO OFF! ROOM 2 (FIRST FLOOR): BRINGING YOU THE VERY BEST IN FUNK, SOUL, HIP HOP, BREAKS & SCRATCH. PLUS MC OPEN MIC & MINI BATTLES. THE PAST SRC EVENTS HAVE HELD HOST TO SOME GREAT FRESH NEW TALENT WITH OUR SHOWCASE ART EXHIBITION. SO FAR WE HAVE SEEN SOME AMAZING WORKS. 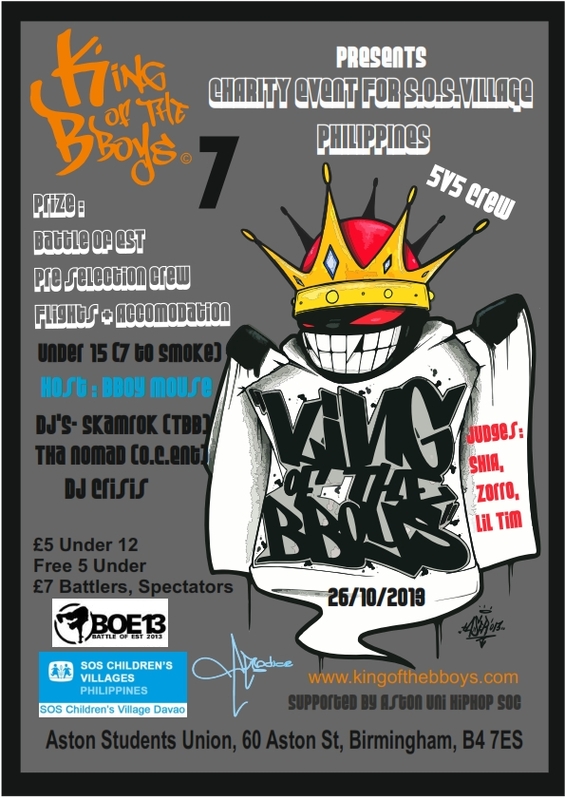 King Of The Bboys 7. Now to the PRIZE, Battle of EST (Estonia) have kindly backed our cause for the kids and have…. The Winners will rep alongside this list..
I’VE HELP WITH BEATS & CHOREOGRAPHY. THERE’S GONNA BE LIVE VISUALS, SCULPTURES, MUSIC, PERFORMERS AND WHATEVER ELSE WE CAN FIND!!!! The proliferation of technology is helping to create a nation of self-interested individuals defined by our own isolation. How do you connect with people? What are your daily encounters? This thought provoking narrative challenges the selection of convenience over human interaction. From the many we can become one.